Sri Lanka 1-348 (Upul Tharanga 174*, Mahela Jayawardene 107, Ravichandran Ashwin 1-67) beat India 187 (Ravindra Jadeja 49*, Suresh Raina 33, Rangana Herath 3-37) by 161 runs. The Lankan Lions amassed 348 runs for the loss of just one wicket at the end of the stipulated 50th over and the Men in Blue managed 187 with 31 balls to spare. Upul Tharanga (Sri Lanka) was declared ‘Player of the match’ for his crunchy unbeaten knock of 174 off 159 deliveries. The third match of the West Indies Tri-Series was held on Tuesday, July 2, 2013, at Sabina Park, Kingston, Jamaica. Earlier, the stand in captain of India, Virat Kohli, won the toss and asked Sri Lanka to bat first. The innings was opened by Upul Tharanga along with the seasoned Mahela Jayawardene at a reasonable pace and they scored 47 runs in 10 overs. Jayawardene got a lucky break at 25 when he was dropped by Murali Vijay at short third man off Ravindra Jadeja in the 13th over. 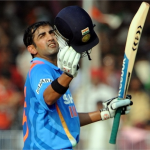 The batsman utilized the chance by hitting 12 runs three overs later with 1 six and 1 four. Tharanga was doing well at the other end as Jayawardene got his fifty in the 21st over. Upul Tharanga followed his partner in the 24th over and the score board was kept busy with the assistance of regular boundaries. 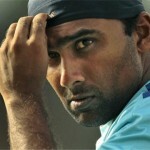 The batsmen hit few boundaries in the coming overs and Mahela Jayawardene smashed his 16th ODI century in the 38th over. Tharanga was let down at 91 by Umesh Yadav off Ishant Sharma in the same over. Mahela Jayawardene was caught by Yadav off Ravichandran Ashwin for 107 from 112 balls with 2 lofty sixes and 9 fours after having a solid partnership of 213 for the first wicket. The skipper of the Islanders, Angelo Mathews walked in next as Upul Tharanga dispatched his 13th ODI hundred on the last delivery of the 40th over. The latter opened up after his ton and hit 1 six and 5 fours in the following overs and Mathews kept on cruising at the other side. Upul Tharanga secured his end for 174 off just 159 comprising 3 big sixes and 19 fours and that was his highest score in ODI. Angelo Mathews scored 44 off 29 with 1 six and 4 fours as Sri Lanka hammered 1-348 in 50 overs. India lost Rohit Sharma at 12 after he had scored just five runs when Murali Vijay joined in with Shikhar Dhawan who hit a couple of fours in the 7th over. The batsmen were unable to get any boundary until the 13th over and Vijay sent the ball out of fence twice in the next one. Dhawan became the next victim at 52 at his personal contribution of 24 runs. Virat Kohli was caught by Lasith Malinga on fine leg off Mathews for 2 and Murali Vijay multiplied the miseries of his team when he went back to the pavilion for 30. The fourth wicket fell at 65 in 18.3 overs when Dinesh Karthik and Suresh Raina tried to stabilise the innings. The score was taken to 118 after 28.1 overs as Dinesh Karthik was smartly stumped by the wicket keeper Kumar Sangakkara off Rangana Herath for 22. Ravindra Jadeja joined in next with Raina and they crept to 142 as the latter was run out for 33 from even balls with 4 fours. Ravindra Jadeja was the only other batsman who gave a lone fight by scoring unbeaten 49 runs off 62 balls with 1 six and 4 fours. The lower order batting surrendered against the lethal bowling spell of the rival bowlers and the entire Indian team was bowled out for 187 runs in 44.5 overs. Rangana Herath was the chief wicket taker with three, Sachithra Senanayake and Lasith Malinga held two each whereas Nuwan Kulasekara and Angelo Mathews shared one wicket each. Sri Lanka grabbed the important game with a huge margin of 161 runs and came back in the tournament by earning five points. 1- West Indies – 9 points from 2 games at a net run rate of +0.765. 2- Sri Lanka – 5 points from 2 games at a net run rate of +0.770. 3- India – 0 points from 2 games at a net run rate of -1.531.